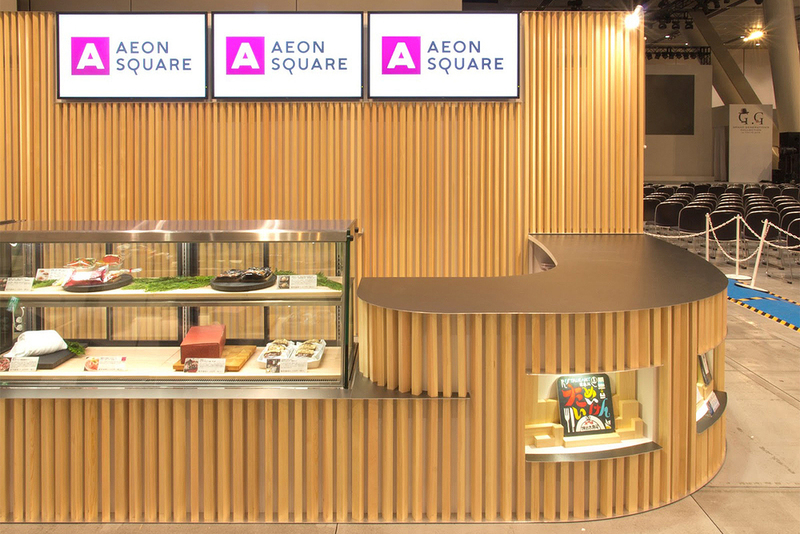 Aeon Square is composed of two main elements, both of which reduce material cost: typical wall studs and aluminum sheeting. The pieces of wood are held to the aluminum with rotatable joints which can be controlled manually, allowing each to sit differently than its neighbors. Surfaces catch the light independently over the entire booth creating a diverse array of light and shadow. 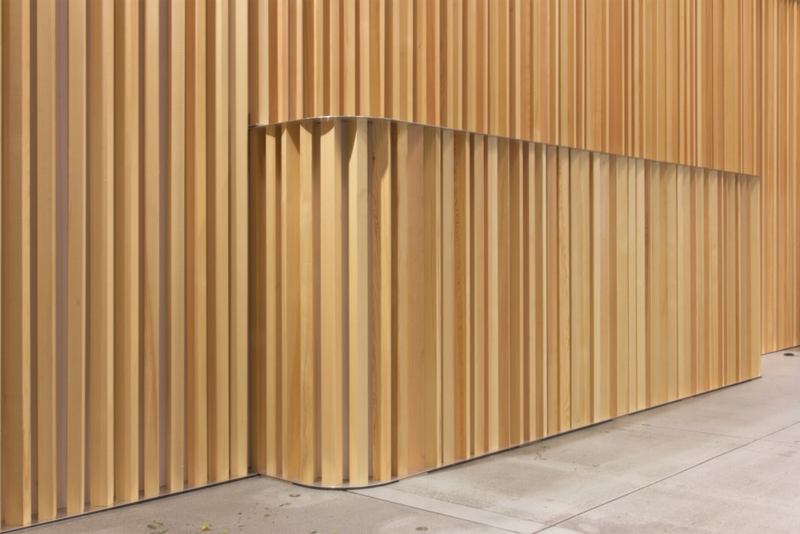 Additionally, as the wooden studs are anchored in place only at their edges, this system of design allows the wood to be reused for various iterations of the rotated façade-like design.